I just read some interesting news regarding Twitter. I’ll share a link to the AdAge article in a little bit but essentially there are rumblings of Twitter exploring the idea of allowing brands to have extended content, i.e. more than 140 characters. I have mixed feelings about this. My initial reaction was “Whoa!” (as you can see on my twitter account) This could be amazing for brands. They’d get to tell more of a story, maybe connect better & share more information, etc. But my second reaction was “Ugh.” This is just going allow brands to blather on about themselves, their products or services on yet another platform. Twitter was different because you had to know how to get the attention of your audience. Your content had to be quick and to the point, not very different from an elevator pitch. You had to know how to be creative and enticing enough to have people want to learn more about you, or have an initial place where you could start a conversation and then lead them to you in different ways. The more I think about this, the more I’m leaning towards my second reaction. What about you? Here is the full AdAge article on this topic. There have been many that have been waiting for this day. I decided to see what predictions were made in the movie that have come true. So here goes! This is directly from Wikipedia. Although payment by thumbprint is not widely used, fingerprint scanning is in use as security at places such as airports and schools, where it is also used to authorize payments for meals. Cars and other vehicles have been able to be run using fuel generated from food wastes, though not through a fusion reactor as suggested in the film. The film shows Marty putting on Nike tennis shoes with automatic shoelaces. Nike released a version of their Hyperdunk Supreme shoes, which appear similar to Marty’s, in July 2008. Fans dubbed them the Air McFly. In April 2009, they filed the patent for self-lacing shoes, and their design bears a resemblance to those worn by Marty in the film. In 2010, a fan named Blake Bevin created shoes that tie themselves. In September 2011, Nike revealed that their MAG line of shoes would not feature the self-lacing feature shown in it. Tinker Hatfield, one of the shoe’s designers, indicated in 2014 that they would introduce shoes with power-lacing technology the following year, 2015. The concept of the hoverboard—a skateboard that can float off the ground—has been explored by various groups since the release of the film. Attempts similar to hoverboats, which blast air at the ground, have been demonstrated, with a 2015 record distance of 275 meters. A different type is the MagBoard, developed by researchers at the Paris Diderot University. It uses a large superconductor plate on the bottom cooled with liquid nitrogen as to achieve the Meissner effect and allow it to float over a special track; it was shown capable of carrying the weight of a human in its practical demonstration. However, the requirement to run the superconductor at higher, more ambient temperatures prevents this from becoming practical. In March 2014, a company named HUVr Tech purportedly demonstrated a working hoverboard along with several celebrities including Lloyd, though this shortly was revealed as a hoax created by the website Funny or Die. In my recent searches I have come across product marketing roles that I wanted to dissect. In some instances lines are easily blurred between marketing and product marketing due to the nature of the business. This can absolutely work but I want to look at the bigger picture of what each process entails, based on what I’ve seen in my past, and why they can co-mingle. In some instances product marketing can be described as the final stages of a product development process. It can also be the initial stages in terms of doing market research, but it all really depends on the organization and how it is broken up. Product development on the other hand typically seems to do all the hands on “stuff” we’ll call it, as shown above, that get the idea/product to the product marketing stages where it is time to get the product launch going. But again the lines can get blurred and there certainly are instances where the product marketing person or department does all of the above. I have been lucky to have been a part of and seen a variety of these kinds of scenarios. In one scenario the product development and marketing areas were very divided, in another the two truly worked together, and in yet another there was no collaboration at all. In scenario number one I was a product marketer that was involved in an led projects for accounts big and small. In this role I was responsible for identifying a clients need, or taking direction from a sales manager on that clients need, working with numerous internal departments to create a product that would both satisfy the need as well as meet our margin requirements. Upon that projects completion I would hand off all of my knowledge on the product to the design team that would then work on collateral, POP materials, and advertising. In scenario number two a new product development/phase gate process was introduced into the organization. I asked to be a part of this new process and was brought in to the product launch stages of each new product introduction. Leading up to that phase, I would identify the appropriate marketing strategy for each new product or product update and work with my marketing team, or outside agencies, to create all of the materials needed for a successful product launch. This meant understanding why the product was being created, who it was being created for, how it needed to be sold, and where. This was a very involved process but it allowed all involved parties to know what was going on and when and how the deadlines may be affected, if at all, due to sourcing or manufacturing constraints. In the last scenario, and probably most unfortunate, there was no collaboration at all. A group of key people would identify the next product to be created, would then create it, and marketing would be brought in on that information two weeks prior to a launch. The goal in this scenario was simply to be first to market rather than have all ducks in a row. As you can see, there can be various iterations to how these different roles can be seen in an organization. Personally, I love collaboration, I love figuring things out, I love a good strategy. Every organization is unique and every process is different. I am just lucky enough to have been a part of many different scenarios and understand that there is no cookie cutter way to figuring out how a product marketing role will work in your organization. Affiliate marketing, vas ist das? Esentially it is marketing through affiliates or clients. Think wayfair or zulily and all the products they sell for other brands. Those are all affilate marketing collaborations. Not having been involved in this previously I will pull a lot from what I found in my searches in terms of the kinds of marketing tactics that work. I have also come across an affiliate marketing agency, Acceleration Partners, that prides itself on having helped online retailers such as zulily. So here we go. 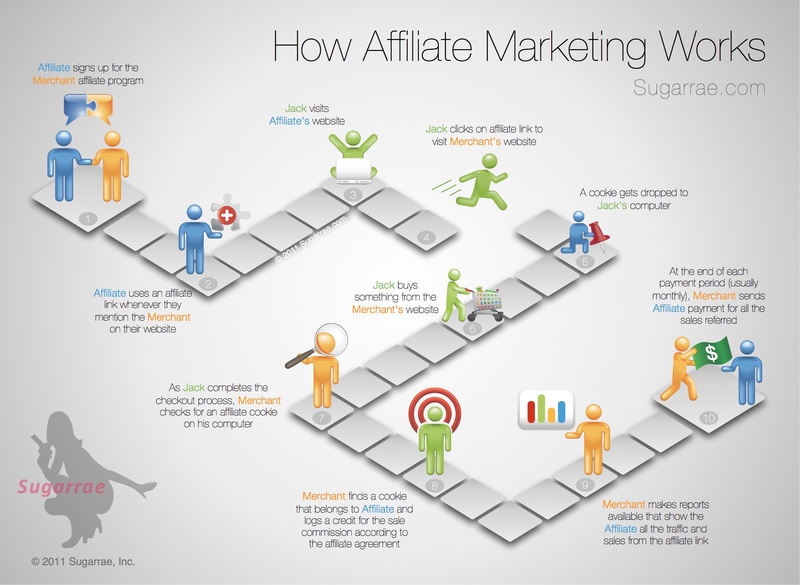 What are some of the key things to consider when it comes to effective affiliate marketing? In recent months I have learned about two branding scenarios that kind of made me cringe. Having gone through an extensive branding exercise at a previous employer I know all that has to go in to a rebranding exercise. So when I learned of these two stories, I wondered if it was due to lack of guidance, or simply bad partnerships. Either way, I hope that the road that was chosen was well thought out. I’m not here to judge, just to share and give my thoughts on the matter. The first scenario takes us to the parent company of two different consumer brands that wasn’t very well known, i.e. its parent brand wasn’t well known. However it had two VERY well known consumer brands, two brands that fit in to two very different markets. This parent brand decided to rename itself to simply be named after these two brands. The way it was told to me, it was so people knew who they were for brand recognition purposes, for recruiting purposes, and for acquisition purposes. The first two make sense, but the latter does not. What is going to happen when an acquisition does occur and that acquisition comes with its own brand name, and with a brand in yet another market? Will they rebrand again to have a three named brand name? Sounds very confusing and simply not thought out. That would be like Beiersdorf renaming itself to Nivea/Eucerin. The second scenario is I think just a process thing…This company went through the effort of rebranding itself so it wouldn’t be so pigeonholed in two markets, based on its previous brand name, but then came to realize that the new name they have chosen to go with, and are going with to market, is actually the name of another company in another country. So when you search for their new name, the other company comes up. Not very well thought out, but the reason I think it is all due to process is because I don’t think the process is complete, and perhaps the new name shouldn’t have been announced quite yet. Emails are still under the old name, as is most contact and social media information. Again, I’m not here to judge, but there are SO many things to take in to account when rebranding that these two scenarios simply scare me and wow me at the same time. What are your thoughts on the matter? What could be behind these changes? Tune in tomorrow to some thoughts on affiliate marketing! It would be silly of me not to talk about being unemployed on this blog, seeing as that is where this whole blog journey began back in 2009…and where I found myself yet again. There have been highs of being almost able to touch that next step but at the last minute it not coming to fruition due to org reasons and there have definitely been lows of feeling like no one will ever hire me. But I now find myself in my last 5 critical weeks of unemployment, as after that time my weekly checks will stop coming. That doesn’t mean I won’t continue llooking for work just that the gov probably won’t really be bothered with wanting to know what I’m doing and how. I am lucky in that I’m not alone on this journey, I have a wonderful and supportive husband, but I can’t help feeling like I’m letting him down. I know what I’m capable of professionally and have proven that in my past roles. I know I adapt easily and don’t need a whole lot of hand holding. I know I’ll be the hardest worker in the group, and I know that I’ll always be learning new ways to improve on an existing process. But sometimes that doesn’t matter. Sometimes someone else ends up ticking every single box on an application and whether or not you seemed to have hit it off with everyone you met or not, doesn’t really matter. Wherever I land, I’m looking to bring what I know, fine tune those skills, and be allowed to learn new ones along the way. Don’t sell yourself short. Apply to the roles where you know you can rock and be confident that your golden time will come. You’ll finally get that highly anticipated offer letter and you’ll jump for joy and very much look forward to the future. 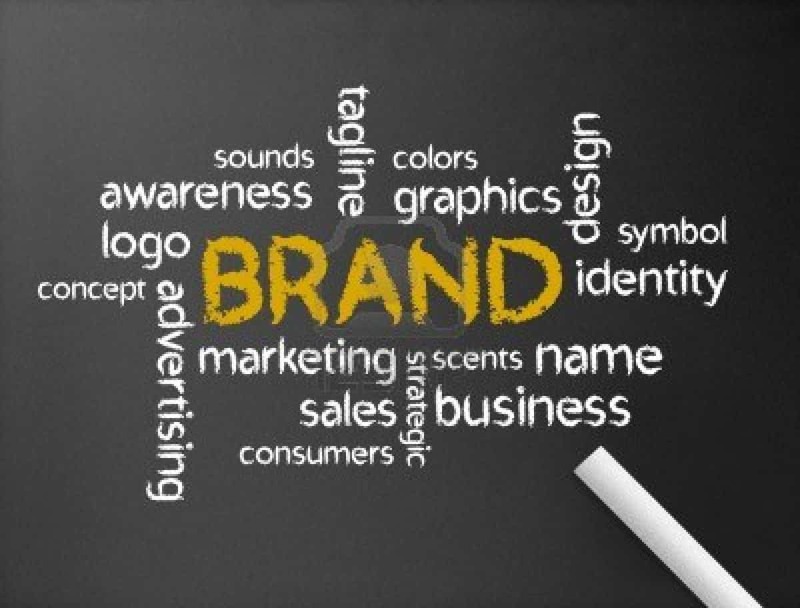 Thank you for reading and look for my thoughts on branding tomorrow! I walked in to a car dealership that’s local to our area and wondered, “Do they even have any cars on this lot?” Well…yes they do. But you *have* to talk to someone. Now that I know where the cars are, I might sneak past the sales guys but at this dealership the guys don’t roam the lots, you come to them. This is probably their form of inbound/pull marketing. I found it very interesting as at most other dealerships you can walk around the big lots freely and peek into the cars and read the specs as you shoo off the sales guy until you are actually interested in asking a question. But here, it was different. It was going to be a different experience and one that lead me to blog about it. It’s difficult for car dealerships to be one upping each other all the time. I mean really. What’s the difference in who anyone buys from other than that customer’s experience, the inventory on the lot, and last but most importantly the prices? More than likely it’s the very first thing I wrote as well as the last. Word of mouth travels and if enough people have a bad experience, and if enough people document that bad experience online, then you might be doomed. But I digressed. I simply found it very interesting how this dealership set up its “interaction” with its customers. What do you think? 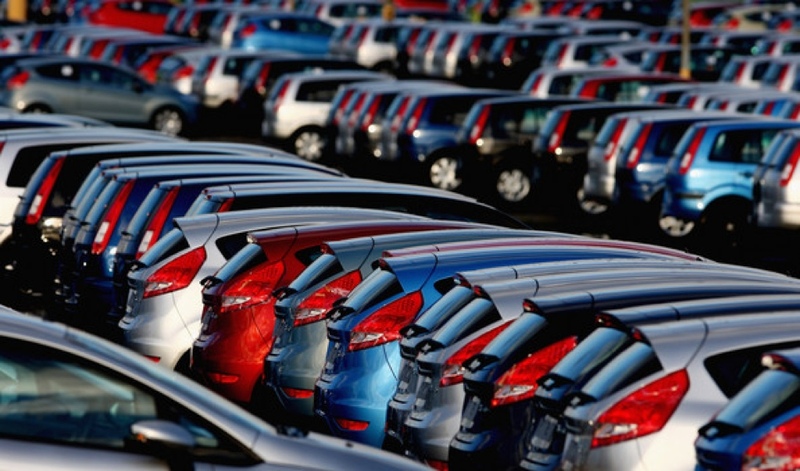 Will more dealerships begin to do things this way? Have I been living under a rock and most of them conduct business this way now?